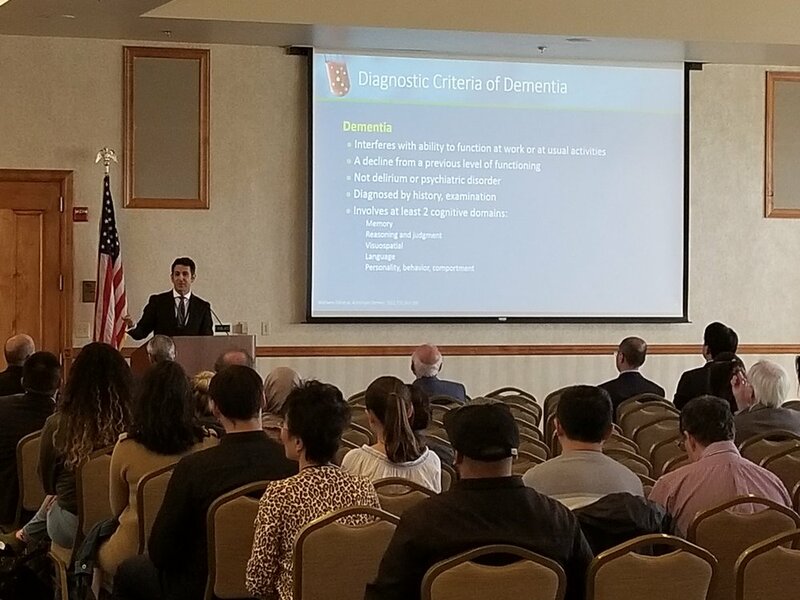 Dr. Jefferson Kinney and the University of Nevada, Las Vegas hosts an afternoon of neuroscience research presentations from investigators at UNLV, UNR, and the Cleveland Clinic Lou Ruvo Center for Brain Health. o Marwan Sabbagh MD, FAAN, CCRI, Director Camille and Lary Ruvo Endowed Chair for Brain Health. o Dietmar Cordes, PhD, Head of Imaging, Cleveland Clinic Lou Ruvo Center for Brain Health. o Mishra Virendra, PhD, Imaging Cleveland Clinic Lou Ruvo Center for Brain Health. o Aaron Ritter, MD, Cleveland Clinic Lou RUvo Center for Brain Health. o William Torch, MD, Limbic Anterograde Trans-Neuronal Degeneration. o Jiang Feng, Ph.D, Department of Psychology, UNLV. o James Hyman, Ph.D, Department of Psychology, UNLV. o Reuben Dagda, Ph.D, Department of Pharmacology, UNR. o Nora Caberoy, Ph.D, School of Life Sciences, UNLV.